“The war against crime and drugs carried out by you is an example to the whole world and, personally, to me. The drug menace is rampant in my country and I feel that we should follow your footsteps to control this hazard,” Sirisena said as reported by CNN Philippines. The South Asian leader earlier announced to his cabinet that they “will hang drug offenders without commuting their death sentences.” He then commended the Philippine president for his campaign against illegal drugs. “We were told that the Philippines has been successful in deploying the army and dealing with this problem. We will try to replicate their success,” Sri Lanka government spokesperson Rajitha Senaratne said as reported by ABS-CBN News. The foreign leader is in the country from January 15-19 for his five-day state visit. 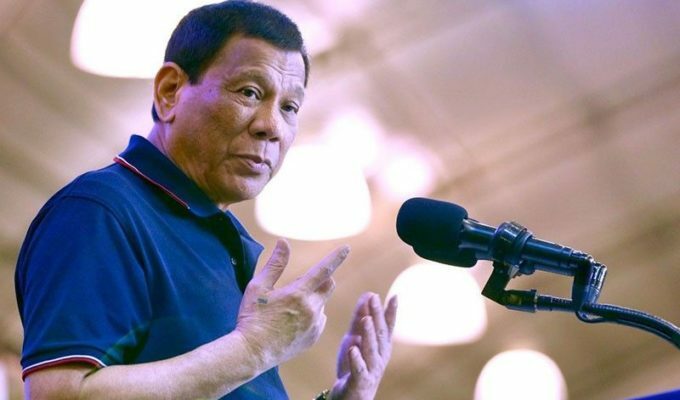 Duterte revealed the possibility that the South Asian country would be the Philippines’ partner in curbing the proliferation of illegal drug trafficking. The said state visit also included deals and agreements between Sri Lanka and the Philippines on matters of defense, agriculture, and education cooperation as they sign the Memorandum of Understanding (MOU) on five charters. 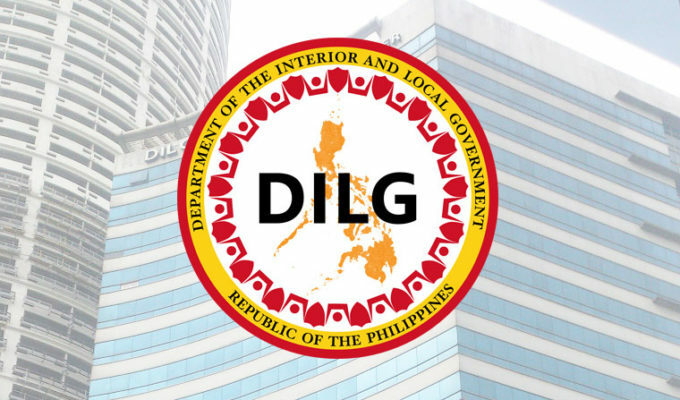 The two countries agreed on Defense and Military Education and Training and Exchanges of Defense and Military Delegations; Cooperation in Agriculture, Fisheries, and Related Fields; Academic Cooperation in Higher Education; agreement of Department of Tourism and Ministry of Tourism Development, Wildlife and Christian Religious Affairs and agreement of University of the Philippines Los Baños (UPLB) and Sri Lanka Council for Agriculture Research Policy of the Ministry of Agriculture, Rural Economic Affairs, Livestock, Irrigation, Fisheries and Aquatic Resources Development. During the bilateral meeting, both leaders aimed towards the challenge of lifting their people from poverty since the Philippines and Sri Lanka were considered developing nations. 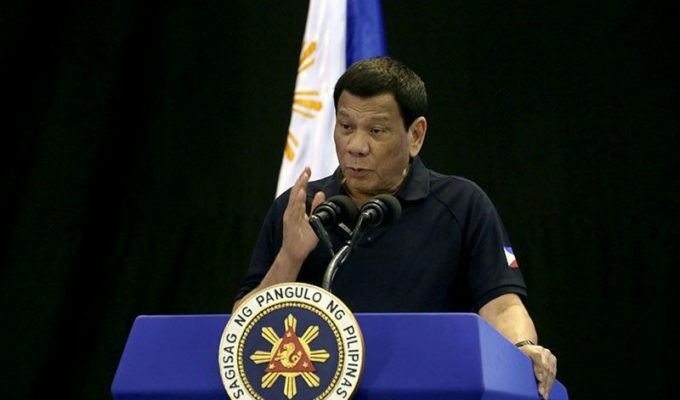 “We acknowledged that poverty reduction and long-term sustainable development are cornerstones of our efforts to improve the lives of our peoples,” the Philippine president said as reported by Rappler. 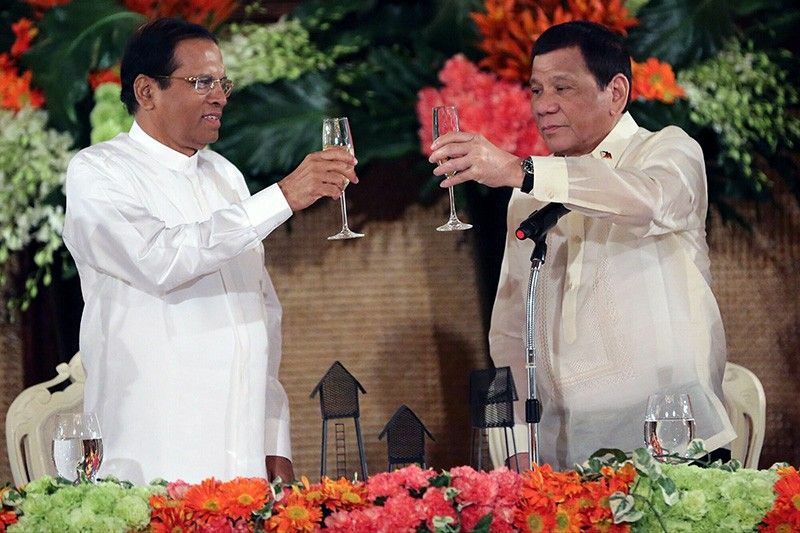 In response, the Sri Lankan president welcomed the idea of putting up a Philippine embassy in Sri Lanka the Philippines to develop a long-lasting bond between the two countries. “Establishing a Philippine embassy in Sri Lanka would be highly instrumental. Therefore, your marking a plot of land for the Philippines’ embassy in Sri Lanka would be – necessary action will be taken expeditiously,” Sirisena said. 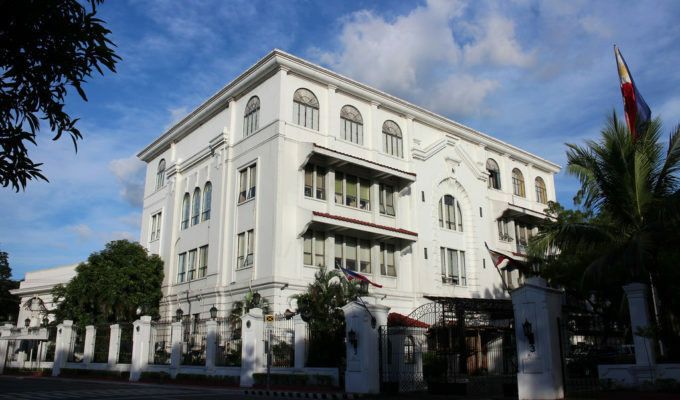 After the Malacanang palace banquet, the Sri Lankan president is set to visit the Asian Development Bank in Mandaluyong and the International Rice Research Institute in Los Baños.